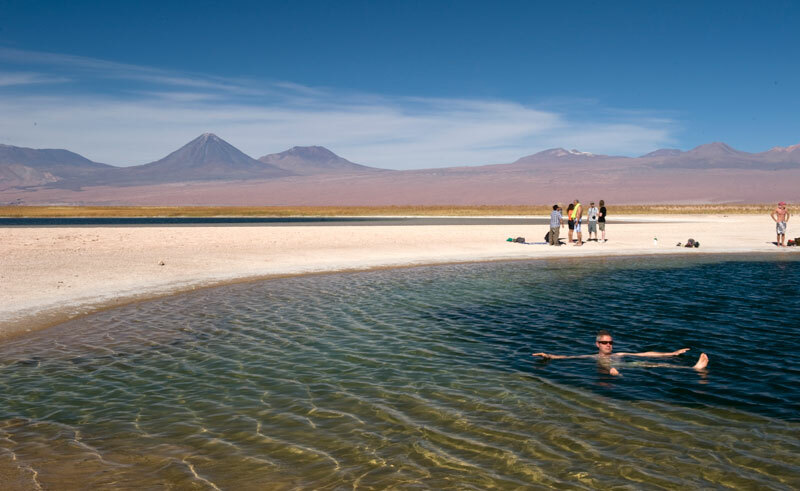 Take a journey to the Cejar Lagoon, the Atacama’s very own Dead Sea. Floating in water with a high concentration of salt is much easier than in freshwater sources, but imagine experiencing this in the middle of a salt flat! Head to the Salar de Atacama (Atacama Salt Flat) and Laguna Cejar, a spectacular scenic lake area with calypso coloured waters surrounded by salt crystals of different shapes and sizes. The sinkhole’s salt concentration allows for easy floating on its surface offering visitors an enjoyable and relaxing experience. This is also a popular flamingo habitat. This 5 day tour of the Atacama Desert features private daily excursions to the region’s most beautiful landscapes and most important archaeological locations.